NEW YORK–AMMA, (BUSINESS WIRE)– Alliance MMA, Inc. (“Alliance MMA” or the “Company”) (NASDAQ:AMMA), a professional mixed martial arts (MMA) company that brings together the best regional productions to build the next generation of MMA champions, announced today the victories of three Alliance MMA athletes featured on the inaugural 10 bout card of “Dana White’s Tuesday Night Contender Series” (DWTNCS). SuckerPunch Entertainment athletes Kurt Holobaugh and Boston Salmon, as well as Cage Fury Fighting Championship (CFFC) Heavyweight Champion Zu Anyanwu, impressed the Ultimate Fighting Championship (UFC) brass by each earning a win. In the main event of the evening, SuckerPunch featherweight division fighter Kurt Holobaugh defeated Matt Bessette by first round knockout and was awarded a UFC contract. In a featured bantamweight bout, Boston Salmon, also a SuckerPunch client, was presented with a UFC contract after defeating his opponent Ricky Turcios via unanimous decision. In the co-main event, CFFC heavyweight champion Zu Anyanwu was victorious over Greg Rebello. Next Tuesday on July 18th, Iron Tiger Fight Series (ITFS) heavyweight champion Dan Spohn will headline the second installment of DWTNCS as he takes on Angel DeAnda. That same evening, three additional Alliance MMA fighters are scheduled to complete: CFFC and Ring of Combat alumni Sydney Outlaw will face Michael Cora; National Fighting Championship (NFC) and ITFS veteran Cee Jay Hamilton will take on Casey Kenny; and Shogun Fights and Fight Time Promotions combatant Lazar Stojadinovic will battle Thanh Le. MMA fans can access the inaugural Dana White’s Tuesday Night Contender Series episode exclusively on UFC Fight Pass. Visit UFCFightPass.com for more information. Alliance MMA (NASDAQ:AMMA) is a professional mixed martial arts (MMA) company that brings together the best regional productions. Alliance MMA’s mission is to identify and cultivate the next generation of fighters and champions for the Ultimate Fighting Championship (UFC) and other premier MMA promotions. With some of the world’s leading MMA promotions under the Alliance MMA umbrella, the organization aims eventually to host in excess of 125 events per year, showcasing more than 1,000 fighters. Alliance MMA is also dedicated to generating live original sports media content, attracting an international fan base, and securing major brand sponsorship revenue for live MMA events, digital media, and Alliance MMA fighters. MMA is the world’s fastest growing sport with worldwide fans of approximately 300 million according to sports marketing research firm Repucom. MMA is a full contact sport that allows a wide range of fighting techniques, including striking and grappling from various martial arts and disciplines including Boxing, Wrestling, Brazilian Jiu Jitsu, Karate and Muay Thai. Professional MMA fights are legal and regulated by state athletic commissions in all 50 states. Alliance MMA, Inc. was incorporated in 2015 for the purpose of acquiring businesses that engage in the promotion of mixed martial arts (MMA) events. In 2016, the company completed an initial public offering that culminated in a listing on the NASDAQ stock exchange. Alliance MMA is the only mixed martial arts promotion company that is publicly-traded. This press release contains forward-looking statements within the meaning of the federal securities laws. These statements relate to anticipated future events, future results of operations or future financial performance. In some cases, you can identify forward-looking statements by terminology such as “may,” “might,” “will,” “should,” “intends,” “expects,” “plans,” “goals,” “projects,” “anticipates,” “believes,” “estimates,” “predicts,” “potential,” or “continue” or the negative of these terms or other comparable terminology. Actual results may differ materially from historical results or those indicated by these forward-looking statements as a result of a variety of factors including, but not limited to, those discussed under the heading “Risk Factors” in our registration statement on Form S-1 (Registration No. 333-213166) declared effective by the Securities and Exchange Commission on September 2, 2016. 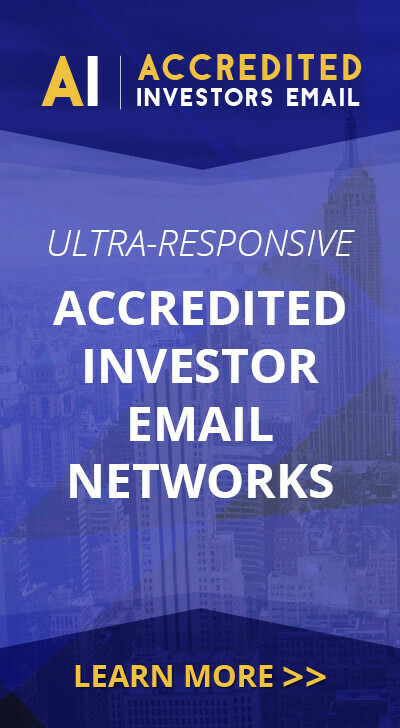 Alliance MMA encourages you to review other factors that may affect its future results in Alliance MMA’s registration statement and in its other filings with the Securities and Exchange Commission.